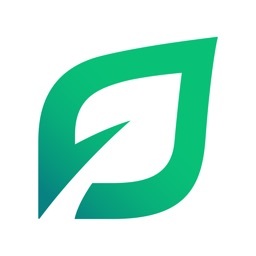 Tally — Get Out of Debt Faster by Tally Technologies, Inc.
660+ FICO Score? Tally users save on average $5,300 in credit cards interest and we guarantee no late fees. 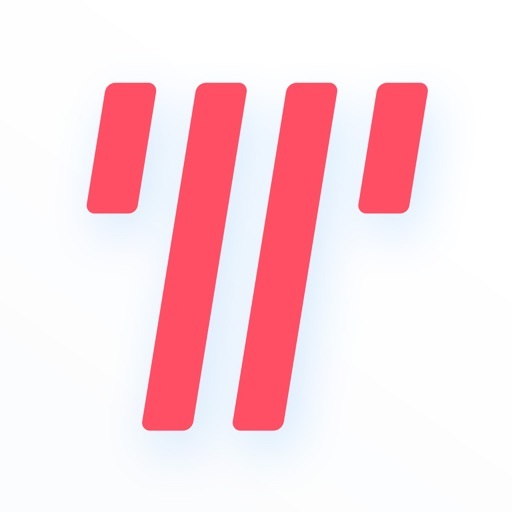 Download Tally for free. 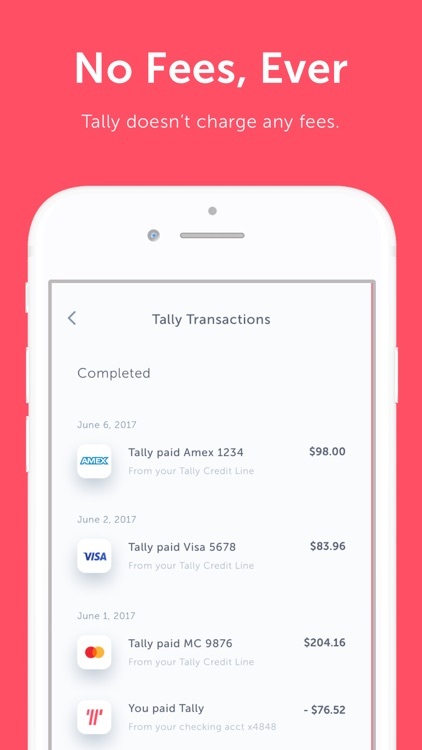 Tally makes it simple to stay on top of your credit cards. 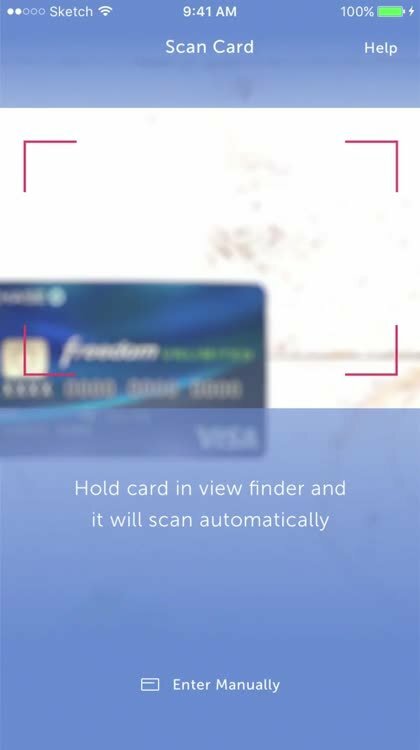 You scan your cards. We give you a line of credit at a low APR and help manage your payments. 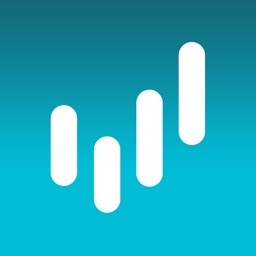 Tally monitors your balances, interest rates and payment due dates for each of your credit cards so you don’t have to. 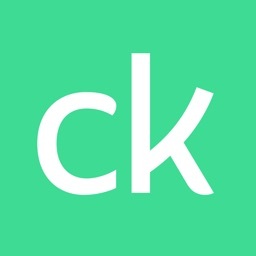 Tally separates the burden of credit cards from the benefits and saves you money in two ways. First, Tally gives you a line of credit with a lower interest rate and helps you find savings on interest to pay down your credit card debt faster. Second, Tally’s late fee protection ensures you’ll never miss a credit card payment again. No late fees. No gimmicks. Just an easier way to pay off your debt faster and a smarter way to manage your credit cards. 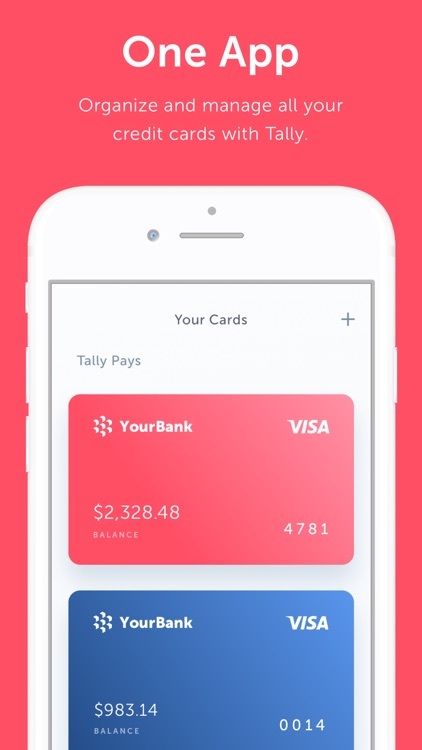 Tally combines your credit cards into one simple-to-use app. 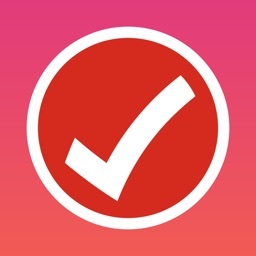 Tally was built to be secure from the start, so you can rest assured that your data is safe. 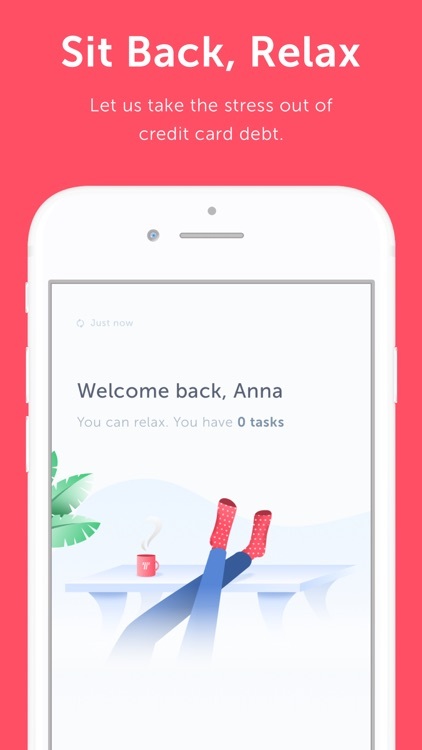 Think of Tally like a personal financial assistant, without the cost of a personal financial assistant. Tally always makes the right payment to the right card at the right time. ** Tally supports most cards from American Express, Bank of America, Barclays, Capital One, Chase, Citibank, Discover, US Bank, Wells Fargo, Best Buy, Target, Amazon, Home Depot, Sears, Walmart, Macy's, American Eagle, TJMaxx, Fifth Third Bank and First Bankcard, and we’re working to add more. ** We do not support all charge cards, retail cards or store cards. 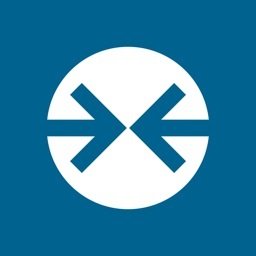 ** We’re currently available in Arkansas, California, Colorado, Connecticut, Washington DC, Florida, Illinois, Idaho, Iowa, Louisiana, Maryland, Massachusetts, Michigan, Minnesota, Missouri, New Mexico, New Jersey, New York, Ohio, Oregon, Oklahoma, Pennsylvania, South Carolina, South Dakota, Texas, Utah, Washington and Wisconsin. We’re working to expand to more states. Tally is the easiest way to pay off debt faster. To get the benefits of Tally, you need to be approved for and accept a Tally line of credit. Your Tally line of credit will automatically kick in if we can reduce your interest. Depending on your credit history, your APR (which is the same as your interest rate) will be between 7.9% - 19.9% per year. And similar to credit card APRs, it will vary with the market based on the Prime Rate. This information is accurate as of August 2018. 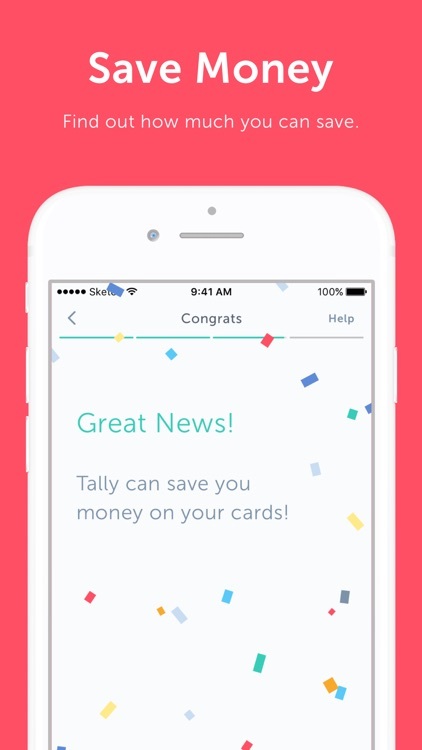 With Tally, you can save money with a lower APR on your Tally line of credit. 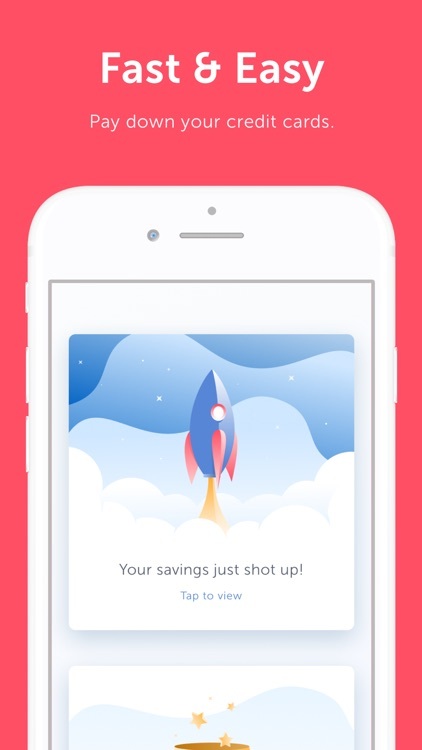 Tally helps saves you money on interest so you can use your savings on interest to pay down your credit card debt faster. Tally’s late fee protection also ensures you’ll never miss a credit card payment again. Seriously. With Tally, you get late fee protection, not just reminders like other services. Whenever you’re in danger of getting hit with a late fee, your Tally line of credit kicks in and makes the minimum payment. As long as your account is in good standing, you’ll never worry about late fees again. Guaranteed. Tally doesn’t charge any fees. Period. No annual fees, no origination fees, no prepayment fees, no balance transfer fees, no late fees, no over-the-limit fees. Nothing. Because we hate hidden fees, too. With one intuitive app to keep track of your cards, you no longer need to manage your accounts across multiple sites. Keep using your cards and getting the perks and rewards. HOW DOES TALLY MAKE MONEY? Tally makes money on interest, just like a bank. The difference is we think unnecessarily high APRs are unfair. So, we only make money when we can save you money.